Please see the updated of BullGuard Mobile Security & Antivirus for Android review in a Security section, or click here. As Google’s operating system Android leads the global mobile market and its popularity is still increasing, the volume of malware and hackers targeting Android devices increase too. In order to safeguard Android users’ privacy, device and all the information in it, BullGuard has developed Free Mobile Security. BullGuard Mobile Security for Android offers the smart protection for Android smartphone or tablet that protects users against all types of malware, annoying spam calls, and theft. BullGuard provides its customers two versions of the mobile protection: Free BullGuard Mobile Security and Premium version of it. 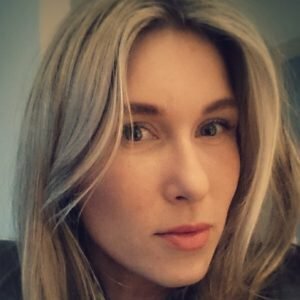 What does BullGuard Mobile Security offer? There is a range of features that BullGuard Mobile Security for Android offers its customers including advanced antivirus system, antitheft feature, backups of important information and files, parental control, anti-spam feature, free technical support and even more. 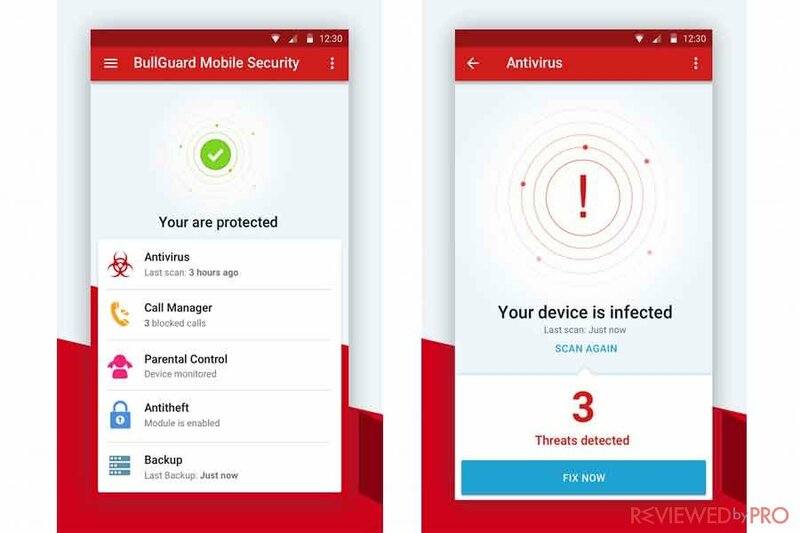 BullGuard Mobile Security for Android provides users a cloud-based antivirus engine that does not affect battery life and ensures up-to-the-minute antivirus protection. BullGuard On-Access Scan automatically scans newly downloaded and installed applications and notifies about any malicious or dangerous content in them. What is more, BullGuard Mobile Security On-Access Scan enables users to check the device for any potential infections, malware or unwanted applications. In addition, BullGuard Mobile Security offers full protection against adware and trackware, spam, data harvesters or botnets and all other malware targeting Android devices. BullGuard Mobile Security Antitheft tools allow you to lock, locate and wipe the device remotely if it goes missing or gets stolen, so you won’t have to worry about losing your sensitive and private information and files. If your device is stolen, BullGuard Mobile Security allows you to lock it remotely using its Manager dashboard from any browser. In addition, you can find your missing Android smartphone using any device with a web browser. If someone attempts to replace the SIM card BullGuard Antitheft will lock or wipe the device automatically. BullGuard Mobile Security Backup features enable users to create backups for contacts, text messages, calendar and more. All the data is encrypted and stored safely in BullGuard servers. It is possible to backup from the same device or via BullGuard web dashboard. In addition, if you change your device, you can simply transfer all the data to the new device. Message monitoring feature monitors all text messages your child has sent and received. Call monitoring feature monitors incoming and outgoing calls from the device. Picture monitoring feature monitors all the pictures received and stored on the device. App monitoring allows parents to see a list of apps that are installed on the device. GPS tracking features allow you to track the location of your child’s device. Remote Management feature allows you to monitor your child’s calls, SMS messages, apps and pictures stored in the device from BullGuard Security Manager. BullGuard allows you to stop persistent spam on your mobile. You can block short code numbers that spammers most commonly use. In addition, you can block nuisance calls, texts messages by using blacklist tab. What is more, BullGuard Mobile Security enables you to permit the short code numbers you want to receive messages from. As a result, you can only receive messages or calls with useful and relevant information. Set up BullGuard Mobile Security Antitheft commands and run On-Access Scan in order to ensure that your device is malware-free. BullGuard Mobile Security Manager provides you with full control over application settings and behavior, as well as helps to prevent app settings from being changed. Parents are able to discreetly view calls and messages to and from their child’s device as well as view apps and pictures stored on the device. BullGuard Mobile Security Manager also allows you to enable a GPS tracking feature that provides the device location. BullGuard Mobile Security for Android has simple and easy to use interface. The security has an intuitive design which ensures that all features are easy to navigate. In addition, the web dashboard can be easily accessed from any device using any web browser. BullGuard Mobile Security for Android provides its users with free 24/7 customer support that delivers professional and friendly advice at a time of your choosing. BullGuard experts will be able to help you with any security issue you may face via Live chat or e-mail. The service is available any time seven days a week. In addition, customers can choose online remote access support, if they prefer. BullGuard provides both free mobile security and premium version of BullGuard Mobile Security for Android. BullGuard Free Mobile Security for Android includes Antitheft, Antivirus, automatic virus scan, backup and restore of your important data, blocking unwanted calls and texts messages, SIM protection, Mobile Security Manager. In Addition, the paid Premium BullGuard Mobile Security version provides these all of these features and also premium features of parental controls, including call monitoring, application monitoring, locate and GPS tracking and it can be used up to 5 devices. BullGuard Mobile Security also offers users a 30-day money back guarantee if they are not satisfied with the product. BullGuard Mobile Security is available on Android devices that run Android 4.0 or later. BullGuard Mobile Security for Android was developed by BullGuard. BullGuard is an antivirus and internet security software developer that provides next-generation security suites and services for Android devices, Windows PCs, and Macs. ^ Free BullGuard Mobile Security. BullGuard. This entry was posted on 2018-01-18 at 08:50 and is filed under News.